Home » What Is A Mortgage Broker or Credit Advisor? Simply, a mortgage broker acts as the “go-between”, between a customer and a bank or alternate lender when choosing and applying for a Home Loan, car loan, Commercial Loan or Business Loan. Also known as Credit Advisors, these professionals have the required industry qualifications as directed by ASIC to give finance advice to the general public. These qualifications may include (but are not limited too) a certificate 4 in Finance, Diploma in finance, membership with an industry body such as the MFAA or FBAA and a financial ombudsman such as CIO or FOS. Not all Brokers or Advisors are the same either. Some are specific to Home Mortgages, while others are specific to Commercial property lending and also car, asset and business finance. At Truck Insurance HQ, we can assist with all types of finance which is why we have over 80 different banks, non-banks and credit Unions on our panel of lenders, which puts us in a really unique position to offer a complete suite of finance options for almost anything! Each Truck Insurance HQ Broker or Advisor has the expertise to assess your financial needs, compare loan products from a number of different lenders on your behalf, pre-assess and help to manage the finance application process all the way to settlement and beyond. Most brokers & advisors are self-employed and work solely on the commissions they receive from banks when their customers reach settlement of their loan. Each broker or advisor is directly accredited with each bank or lender they deal with, so in effect, they are a representative of all these banks & lenders. Truck Insurance HQ and our brokers & advisors are not owned by any financial institution and have no allegiance to any one bank or funder which also makes us very unique as many of our competitors are either fully or partly owned by a major bank or other institution. As we are representatives of all the banks and funders on our panel, we are paid a commission by them when a loan settles and this payment is in no way added to the consumer’s loan. There is no financial difference to the consumer whether the loan was organised through Truck Insurance HQ or if the consumer applied directly with the bank or funder. Further information about Truck Insurance HQ and how we work is outlined in the Truck Insurance HQ credit guide. 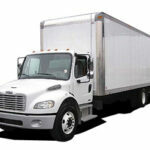 Truck Insurance HQ Pre-assess your situation, compare loans and give advice on different loans and structures. Unlike a bank (which is only limited to their own few products), our brokers & advisors have an enormous amount of different options which greatly enhance your chances of a successful loan application. We can explore deep into a client’s situation and ask the right questions to identify the right solution. The right lender on many occasions may not necessarily be the one that will offer you the best interest rate! It may simply be the only one that will approve your loan, particularly if you’ve been knocked back for a loan in the past because you weren’t able to quite meet standard bank lending requirements. 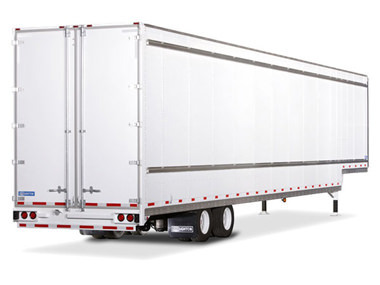 This is where Truck Insurance really shine because they’re able to take your information and compare loan policies from a range of different lenders and provide you with a product recommendation that best suits your needs. A bank will try to do the same thing but the important thing to remember is that each bank can only offer the interest rates and products that they have, within their own delegated lending parameters. 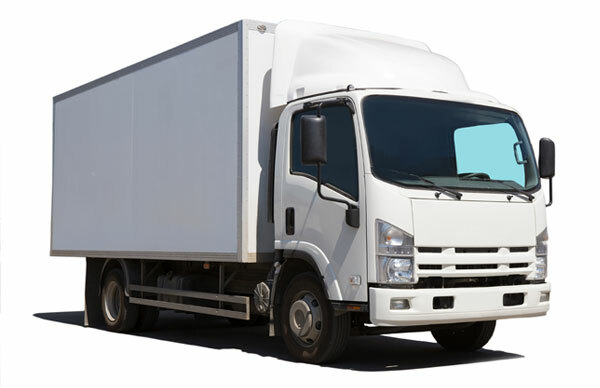 It’s makes good sense to speak with an Truck Insurance HQ to ensure you are getting the best possible deal, with the best chance of a loan approval. Getting finance (even if you already have a mortgage), or applying for a new home loan (or any type of loan) can be a daunting, time-consuming and even a frustrating experience. A broker or advisor can take care of the entire application process for you, organising your documents, speaking with the bank, pushing the process along, and acting as your only point of contact through to settlement and beyond. As Truck Insurance HQ does not actually lend you the money, we are also able to perform a credit check on you (with your permission) and NOT leave a foot print on your VEDA file! This is a huge bonus for many or our customers, because we can verify in advance any credit issues and tailor a solution to suit. Once a bank visits your VEDA file, they leave a foot print which may impact on your actual credit SCORE which may negatively impact on your ability to get finance down the track. This one factor alone really makes Truck Insurance HQ an easy choice for all your finance needs. The great news is that organising an appointment and simply having a conversation with an Truck Insurance HQ is completely FREE. Give us a call on 1300 815 344 or complete our enquiry form on our website (https://truckinsurancehq.com.au) to speak with one of our senior brokers or advisors to get the information you need. Which Broker or Advisor can I trust? If you’re not sure on whether your broker or advisor is legit, the first thing to ask for is their Australian Credit Licence Number (ACL). All ACL holders, brokers & advisors must operate under the National Consumer Credit Protection Act (NCCP Act) which means they must recommend products that are ‘not unsuitable’ for you based on their assessment and reasonable enquiries of your financial situation. It’s a legal requirement which means you’re protected as a consumer. Brokers & Advisors should either have their own ACL or be authorised under a licence, typically through their aggregator (an aggregator is simply the wholesaler that supports the broker by paying their commissions and providing client management software). Check to see that they’re registered with Truck Insurance HQ. You can also call on 1300 815 344. Find out if they’re a member of the MFAA or the Mortgage Industry Association of Australia (MIAA). These represent the minimum requirements to be qualified in this industry. Truck Insurance HQ & advisors work both individually and within a team with our staff around Australia. If we come across a difficult loan scenario, we share the scenario with other team members to look outside the square and get a different perspective on possible solutions. Collectively, we can also find those ‘secret’ policy exceptions to get approvals for applications that would normally be declined. This includes people with unusual employment, over 55’s, bad credit, self-employed and no or small deposit. An experienced broker /advisor may also have connections within some banks or lending institutions which can assist to get a better deal for the customer such as some fees waived or a reduced interest rate depending upon the actual situation of the borrower. So, not only can your broker/advisor find you a good deal, they may also be able to make it a great deal. Some brokers and advisors have actually worked in the credit departments of many major banks and lenders which mean they understand the lending policies of many different products back to front and know how to present an application for approval. They know exactly what the bank wants to see in a mortgage or finance application so you have a better chance of getting approved the first time. Can consumers shop around themselves or use an online comparison site? For the Australian consumer, shopping around for a home loan can be time-consuming and even disastrous if they don’t know what they are doing. That’s because each time you apply for finance, whether it’s a mortgage or a credit card, it actually gets recorded as an enquiry on your VEDA credit file. Having too many enquiries can actually see your application declined. As mentioned above, our brokers & advisors can look at loan solutions from a wide range of lenders without affecting your credit file. Normally, we can also come back to you with at least 2 to 3 recommendations that you not only qualify for but match your goals. However, it’s important to keep in mind that many brokers don’t have access to every bank, lender or credit union in Australia. 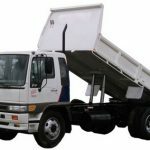 (Up to around 30 normally) whereas, Truck Insurance HQ have access to, and are accredited with up to 80 different banks and funders which makes us very unique and capable. (Market Leading) All brokers & advisors can only deal with lenders that they have accreditation with which means they’re authorised to send through applications to that lender on behalf of a customer. New “do it yourself” comparison sites are appearing daily and are becoming heavily advertised. These sites also have a limited number of banks or lenders on their panel and mainly only cater for home loans. The main problem with these platforms is that they only cater for “premium” customers who fit within defined guidelines with the comparison site primarily used as a marketing tool! Be very cautious with some of these sites as they are not geared up to give you a complete in-depth service catered to your individual needs. Using some of these sites is like going online to look up some symptoms to an illness you may have. My brother recently had a lump appear on his arm, so he went online to see if he could identify what it was. So many different diseases pop up which appeared similar so how did he determine the right course of action? Going online will identify possible diseases, however, you need to seek professional assistance to fix the problem, (in this case, he went to his GP (and by the way, it turned out to be a “Fat-lump”?) – no medication needed) What if my brother self-diagnosed and bought pills online for something completely different? The same applies to getting the right advice for your finances; don’t “Self-Diagnose” as this could be very costly. 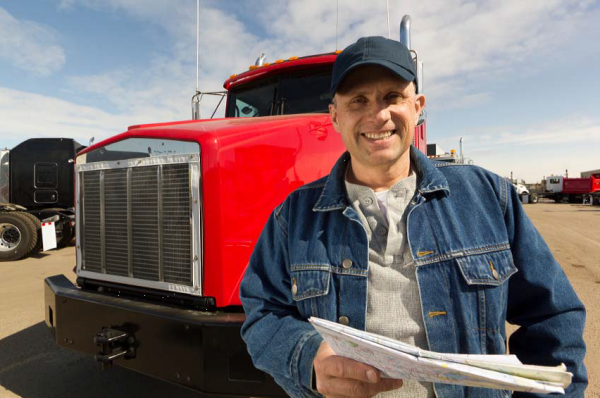 Speak with an Truck Insurance HQ expert to ensure you find you the best solution for your finances. All Brokers and Bankers have different levels of experience. Some brokers that have written a lot of loans (a high volume) through a particular lender may get upgraded to higher levels of accreditation. These brokers are pretty much treated like VIPs and you’ll see the benefit! (Not all banks/lenders offer this though) Lenders are usually carefully selected by a broker based on their credit policies but it’s important to do your own research and continually ask your broker questions about why they’ve chosen a particular product or lender over another. Ask them what fees, if any, are to be paid upfront and ask as many questions as you can. What about business finance or a commercial loan? A large percentage of brokers only deal with home mortgages and are not properly equipped to search for and understand Commercial loans , business loans, car & truck finance, development loans or personal loans. They may have a particular accreditation with the commercial arm of a bank or lender but, depending on the complexity of your needs, it’s always good to seek out someone with experience. Again, this is what sets us apart from our competitors! We are experienced in all aspects of financing and once we help you with your first loan, we have an intimate knowledge of your financial situation and we can further advise on business finance or purchasing a new car. Once we know your finances, it makes it easier for us (and YOU) to get further finance! Always beware of brokers that have no idea what you’re talking about! Do Brokers or Credit Advisors provide financial advice? 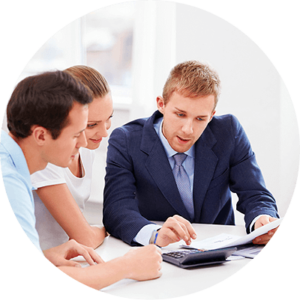 There is a big difference between a Mortgage broker/Credit advisor and Financial Planning. Mortgage brokers/Credit advisors can advise on anything to do with CREDIT. Our Australian Credit Licence (ACL) allows us to discuss and give advice on anything to do with credit or loans, your goals and financial position; everything to do with finance. Financial planning (Planners) are licenced with an Australian Financial Services Licence (AFSL) which enables them to discuss retirement strategies, financial goals and planning for your financial future, SMSF’s, possible investing in shares or property – and overall wealth strategy advice. 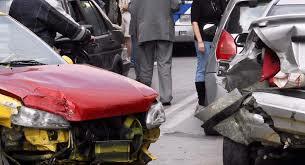 Truck Insurance HQ can refer you to a trusted Financial Planner should you require that service. Do you need to speak with a mortgage broker/ credit advisor? As your financial and personal situation changes over time, whether it’s due to having children, needing to renovate or nearing retirement, you’ll need financing that evolves with you. It is also a good idea to check your finances regularly to make sure your loans are still competitive. We offer free Finance health checks which keep you ahead of the game. New loan products and changes in the finance arena can leave you behind, with an outdated and expensive loan (s). Disclaimer: The comments on this form are a guide and for general advice only and should not be relied upon as specific advice for your current financial situation. Please speak with a professional Credit Advisor, Accountant or Financial Planner to ensure you get the right advice specific to your personal circumstances. Truck Insurance HQ holds a National Credit Licence (392611) and our credit advisors are members of MFAA, FBAA and CIO.